Manufacturer of a wide range of products which include stainless steel welding electrode rod, sliver brazing rods, brass welding electrode, welding electrodes, copper brazing rod and cupro nickel welding wire. We have gained a remarkable position in the industry by offering a qualitative assortment of Stainlesss Steel Welding Electrode Rod. The given are provided on diverse specifications options so as to fulfill the requirements of customers. These Stainless Steel Welding Electrode Rod are manufactured by our workforce utilizing high quality material and modern technology as per the norms of industry. Our Stainless Steel Welding Electrode Rodare high on demand among customers owing to their superior finish. Sliver Brazing Rods are provided on diverse specifications to fulfill the client’s requirement. These brazing rods provide our client’s to compositions to suits the specific applications. Silver brazing rod are mainly utilize in high quality material and advance technology as per the industry. Brazing rods have a huge demand all over the world. · Percentage Of Silver: 0.5 %, 1%,2%,5%,10%,14%,30%,43%,65% we also provide as per client's requirment of silver percentage. 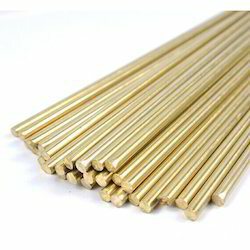 Brass Welding Electrode Rod made for construction for higher intensity and strength. 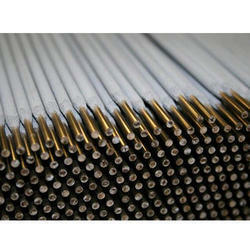 Brass welding electrode rod is well known for corrosion resistant features. We provide in variety of size and shapes to its melting temperature as per the client’s demand. Astec Inc. one of the most reputed Importers and Exporters in all types of Metals in India. We offer Stainless Steel Welding Electrodes in different type of thickness, specification, grades and dimensions. With grades such as 308L, 309, 309L, 310, 312, 316L, 347 and so on, they are extensively used in diverse applications industry, and are formed from urbane technology and superior grade of raw materials with newest characteristics. These SS Welding Electrodes can also be custom-made relating to their size and thickness as per client’s requirements. We offer an extensive range of these Welding Consumables for different applications in industries such as Steel, Shipbuilding, Petrochemical, Cement, Construction, Transport, Offshore, Energy, Repair & Maintenance, to name a few. 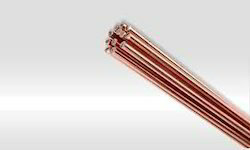 Copper Brazing Rods are also known as higher intensity strength. These copper brazing rods can be provided in varied sizes & shapes to the melting temperature as per the application demands. This bar available in superior grade to its brass metal finish a strong corrosion resistance and have a higher efficiency to its welding performance. We are a well reputed entity in this domain, betrothed in providing Cupro Nickel Welding Wire. Owing to their thermal stability and uniform thickness, these products are highly demanded. The range of products is designed using quality examined at our premises under the observation of our skilled professionals to ensure flawlessness.